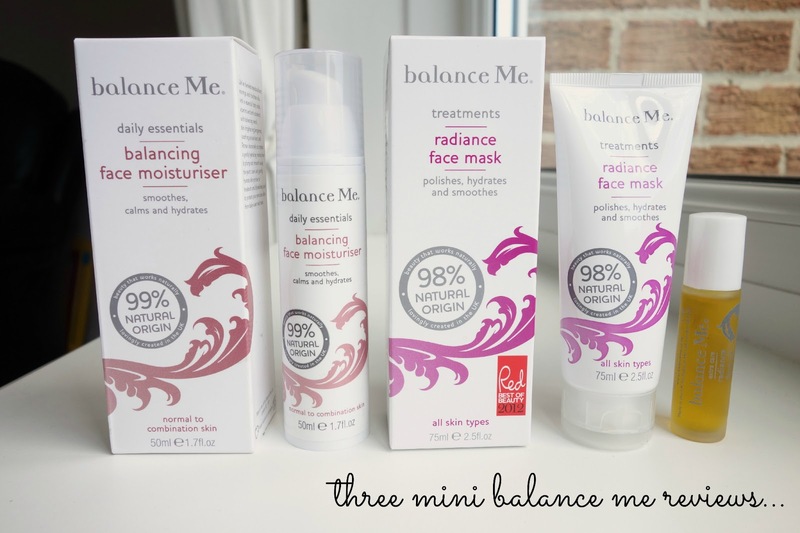 balance me balancing face moisturiser*: here. i’ve been using this every day for the past two weeks and i’ve really enjoyed doing so. it hasn’t broken me out or made my skin oily throughout the day, just hydrates it enough to keep any dryness at bay and act as a good base for makeup. i genuinely don’t have anything bad to say about the balancing face moisturiser, it just works well with my skin! 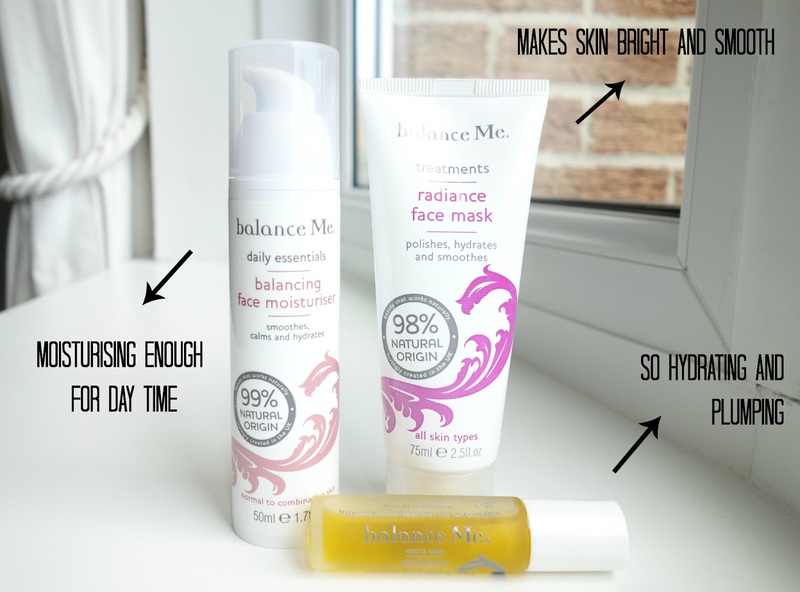 balance me radiance face mask*: here. since i’ve been a bit hit and miss with skincare recently, it’s left my skin quite dull. so, i’m all for exfoliating and brightening products and the radiance face mask has slotted in quite nicely with my routine. i tend to use masks a few times a week just to give my skin a boost and have found this one to work really well at brightening my complexion. as i use products such as liquid gold, it’s nice to find a new beauty item that has the same effect without it being chemical based. it’s love, you guys. balance me radiance facial oil*: here. oh, facial oils. being someone with problematic skin, it took me quite a while to get my head around using them. but, i honestly wish i had sooner, as i’ve found hydrating my skin actually makes it better. i either use this by itself or mix half the amount in with a touch of my nighttime moisturiser and i wake up with such healthier looking skin. using the radiance facial oil with hydraluron underneath adds an extra boost of hydration too, so it would work well with dry skin as well as combo skin like mine! using these products has made me really want to try some more from the range! i’ve got my eye on a few pieces so i’ll do some more reviews if i manage to get my hands on them. do you use balance me products? is there anything you’d like to try from them? ps. make sure you check out amy’s lovely blog riiight here.